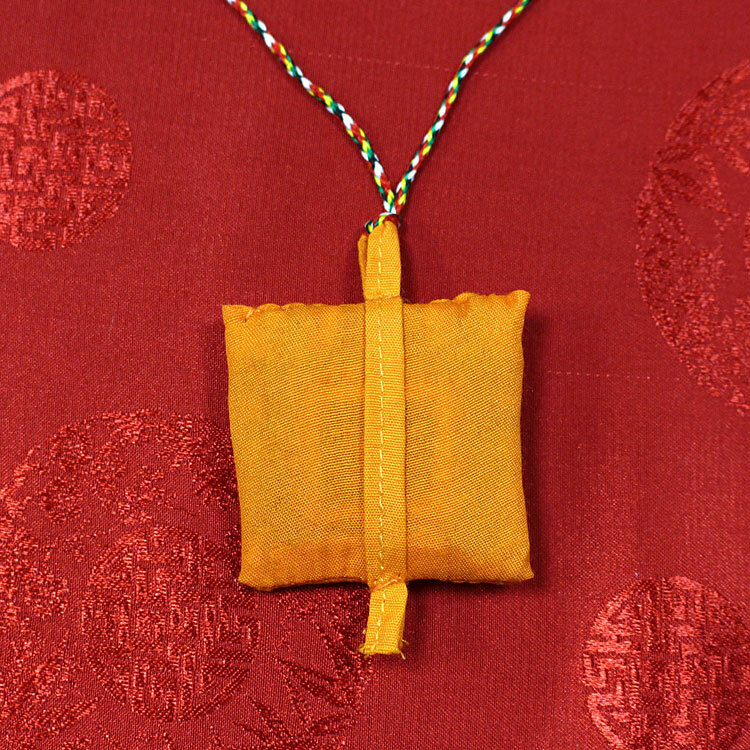 Manjushri Amulet, also known as the Yellow Wheel of Manjushri protects the bearer from obstacles and misfortunes. 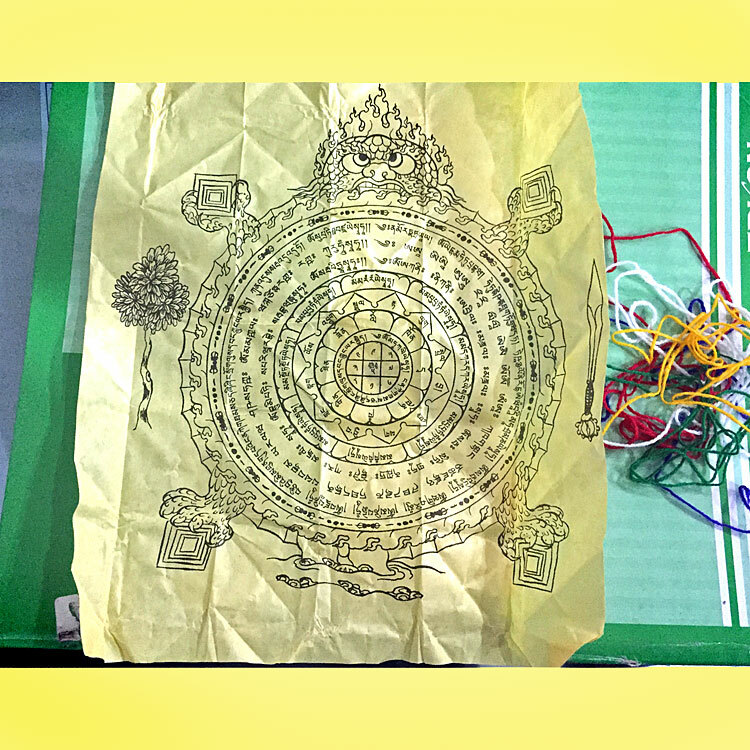 It enhances the holder’s four Astrological aspects of Life-Force, Health, Wealth and Luck. 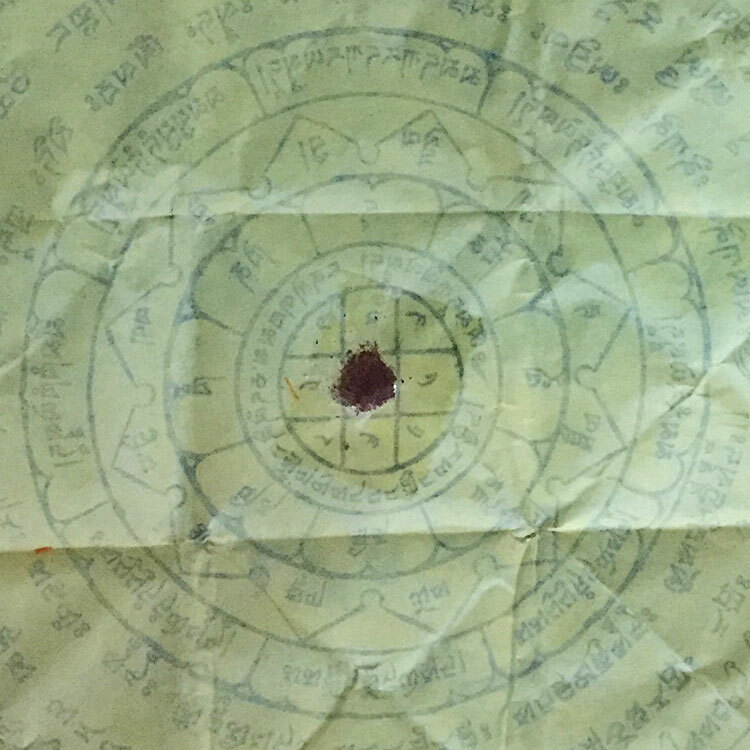 This amulet contains various astrological features like the Nine Numeric Squares, the Eight Trigrams, the Twelve Year-Signs, the five Elements, various mantras of protection and other holy ingredients like sand from the Kalachakra mandala and medicinal spices. 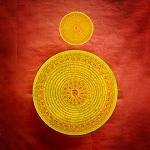 It is then wound in a pattern of five elementally colored threads. 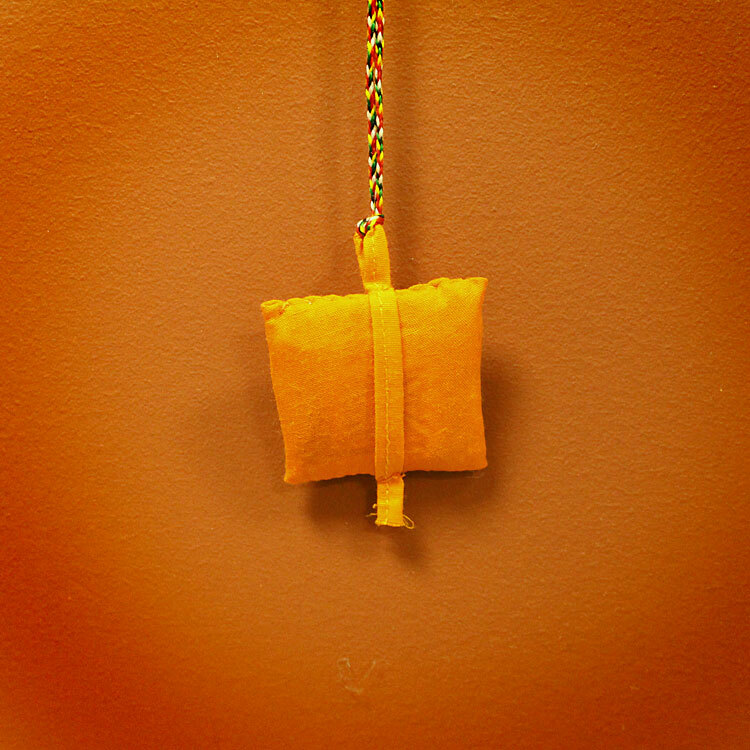 The sequence of these treads dispels the negative energies outward and draws positive energies inward. 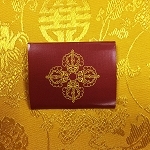 The color of the covered cloth symbolizes the body color of Manjushri. 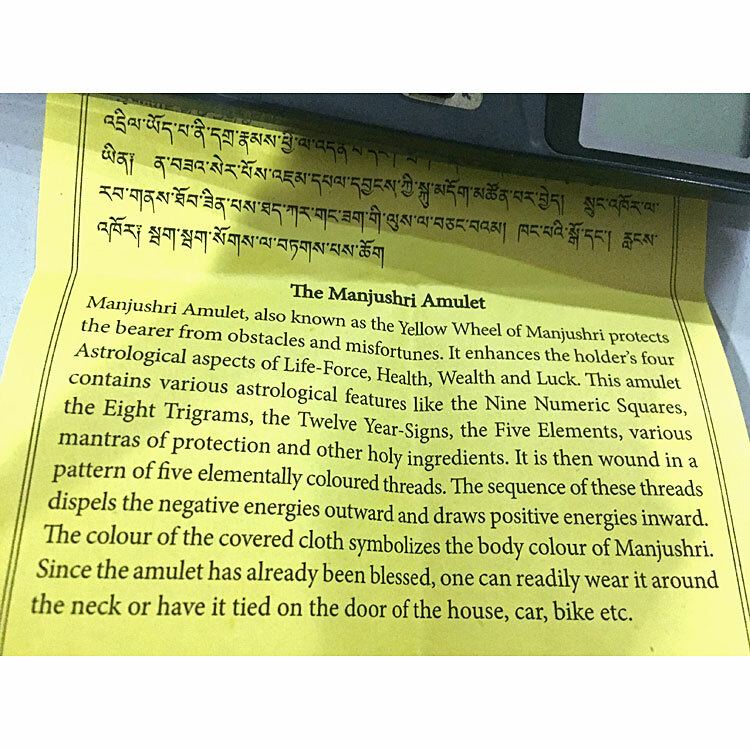 Since the amulet has already been blessed, one can readily wear it around the neck or have it tied on the door of the house, car, bike etc.